Junior Voiceworks 2 is a second dazzling collection of songs for all choirs at or around KS2 level (ages 7-11). Presenting 33 singable songs, from simple unison to 2 and 3 parts and more, this is a fabulous singing resource which will inspire choirs everywhere. With 2 CDs and supporting teaching notes, Junior Voiceworks 2 is a complete handbook for singing for all teachers and choir leaders. For children, singing comes most naturally when it is part of their everyday routine, when it is associated with their everyday activities; they enjoy singing about what they are doing, thinking, and experiencing. 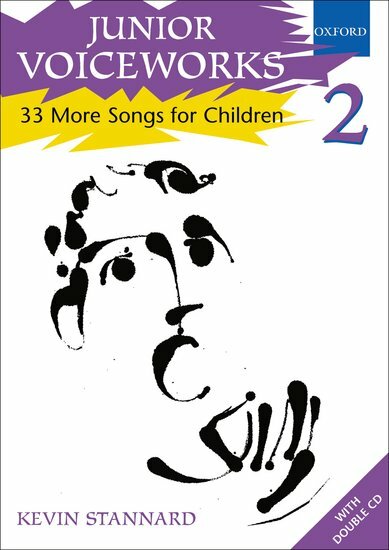 A singing child is clearly a happy child, and one of the aims of this book is to provide children with songs that they want to sing, again and again.